I've finally started posting videos related to Standard Operating Procedures for Managed Service Providers! I've been meaning to do this for a long time and finally got around to it. 1) I'll post the videos on YouTube - My channel is www.youtube.com/smallbizthoughts. 2) After that, I'll try to remember to promote the post here. But the best thing to do is to subscribe to the YouTube channel so you'll get an email from them when a new SOP Video posts. 3) I will also note the new videos in my weekly newsletter. You can subscribe to that on the link above - "Karl's SMB Email." If you would like to see me cover a specific topic, please email me. The sound and lighting will get better over time. Please be patient on that. Just search for "Palachuk" on Amazon. Much More Than a Book (or four)! 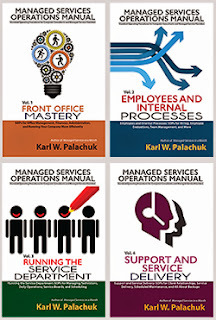 This 4-volume set -- 1,100+ pages plus downloads -- is a complete business model for delivering Managed Services! 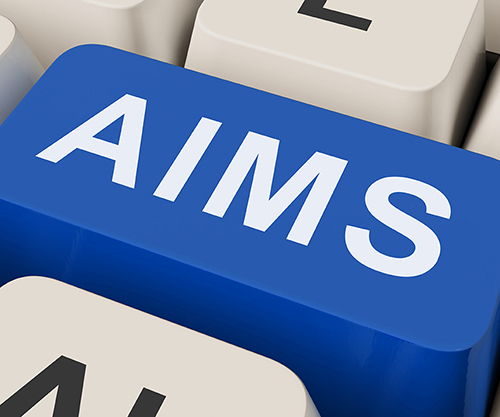 The processes and policies outlined here will make you money as well as save you hundreds of hours. I live in California, so golf season lasts twelves months of the year. But for many places, I understand there's an actual season for golf - and Summer's it. Golf outings for your company can be a great way to get people together in a relaxed atmosphere. Whether it's for your established clients or hot prospects, an afternoon of golf can help you build relationships. As you know, we tend to do business with people we know, like, and trust. Getting to know people outside the boardroom can do wonders for your business. And golf is a very popular way to do that. You don't want to spend too much or look completely disorganized. 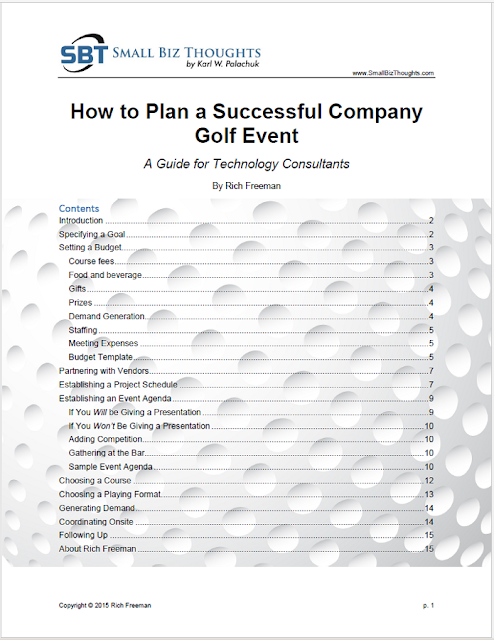 We just released a great white paper on How to Hold a Successful Company Golf Event - by well-know SMB author and reporter Rich Freeman. It includes fifteen pages of tips on preparing for a successful event - including putting together a realistic budget. You can buy this white paper for $19.95 at SMB Books - and it's totally worth it! Or you can head over to the Promotion Monkey web site and learn how to get it for FREE. Just go to http://www.promotionmonkey.com/golf-outing-promotion/ and follow the instructions. If you're a regular reader of ChannelPro Magazine, you should be familiar with Rich Freeman's work. Rich was the founding editor and is currently senior consulting editor of ChannelPro magazine, a publication for resellers and managed service providers who serve small and midsize businesses. His work has also appeared extensively in Redmond Channel Partner magazine and on the websites of Computerworld, Network World, CIO, and InfoWorld magazines. So . . . grab the white paper . . . and get in touch with me when it's time to plan the golf outing. We'd love to help you with shirts, golf towels, ball markers, awards, etc. Are you a new MSP wondering how to price your offering and services? Have you been in the game a while, but wonder if you have set up the right pricing model? Do you want to maximize your ROI today? MSP's all over the world are asking the questions above, so this month's MSP Profile Webinar is all about PRICING! Join Randolph D. Carnegie, Managing Director Ken-Kor Consulting Inc and Nadia Karatsoreos, Community Manager at LogicNow, as they go over common trends, real life stories and their future vision of the MSP. Randolph D. Carnegie is the Managing Director of Ken-Kor Consulting, Inc. a technology consulting and implementation company that provides and implements complete Information Technology Solutions for small businesses. 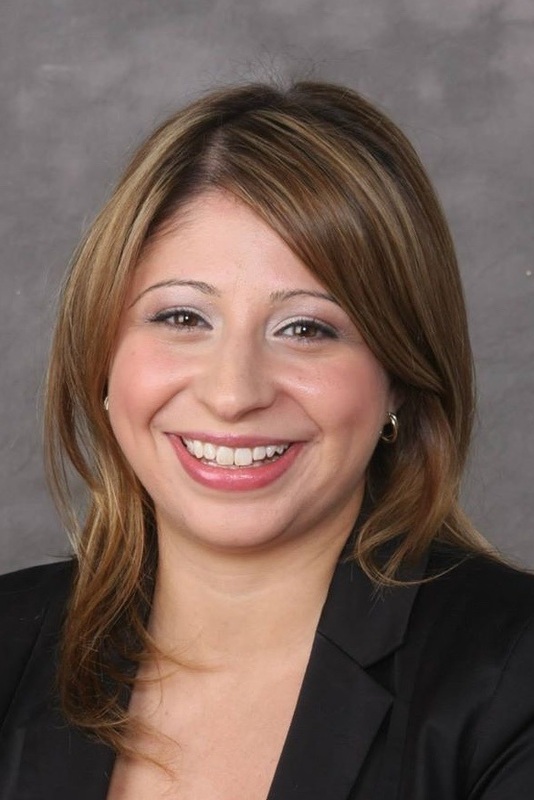 Join Industry Expert Ryan Morris, Principal Consultant Morris Management Partners, Inc. and Nadia Karatsoreos, Community Manager as we deal with real-world challenges that MSPs from across the globe are facing. Get your questions ready - we'll be doing a live Q & A so that you can pick our brains on the things that are important to you! Ryan Morris, Principal Consultant for Morris Management Partners, has more than 20 years' experience in marketing, sales and management in the technology / telecom industry - specifically focused on building successful multi-tier channel solutions and profitable solution provider businesses. Four years ago I decided that I want to write more, travel more, and speak more. Since then I've released nine books. Last year was an amazing travel year for me. This year will be about the same. And I have about 30 speaking gigs a year. When I started, I didn't have a plan. I really still don't have a detailed plan. I'm just finding more and more ways to do the things I want. Once my intention is set, I accept or decline activities partly based on how they affect my goals. Part of the "speaking" has also involved increased activity posting webinars, online classes, and YouTube videos. Did you know I posted more than 80 Videos in the last two years? I didn't either, until I counted them. This week - after two great years - we are closing down the Odd Tuesdays Podcast. OT was the brain child of Monica Caraway, our long-time Marketing Manager. She did a great job. And we also had great contributions from our "Oddballs" - Amy Babinchak, Rayanne Buchianico, Bob Nitrio, and Manuel Palachuk. I quietly started making some new videos this week. I've created a new playlist on my YouTube Channel. That's where you can find the new videos on SOPs. Please subscribe to my channel - www.youtube.com/smallbizthoughts - and share any videos you like. My goal is to add a new video each week. As long as I'm set up for it, I'll probably add more non-SOP videos as well. But keep an eye out the SOP features. Your topic recommendations are welcome! We're also going to be doing a lot more over at the SMB Community Podcast. This is where numbers matter. We have about 100 people interested in the Globalization of SMB, but we have over 3,000 people tuned into the SMB Community Podcast. So add that to your RSS reader or iTunes. You can find all the old shows there as well. And the "search" feature is pretty good for focusing on specific topics. The bottom line: I'm going to write more, podcast more, video more. We'll see where that takes us. And we have more changes to announce. Please make sure you're subscribed to my newsletter so you don't miss a thing.